I didn’t know what I going to post today, so I grabbed my camera bag and headed over to Jackson Square, hoping to find Christmas. All I got were a bunch of generous vampires. 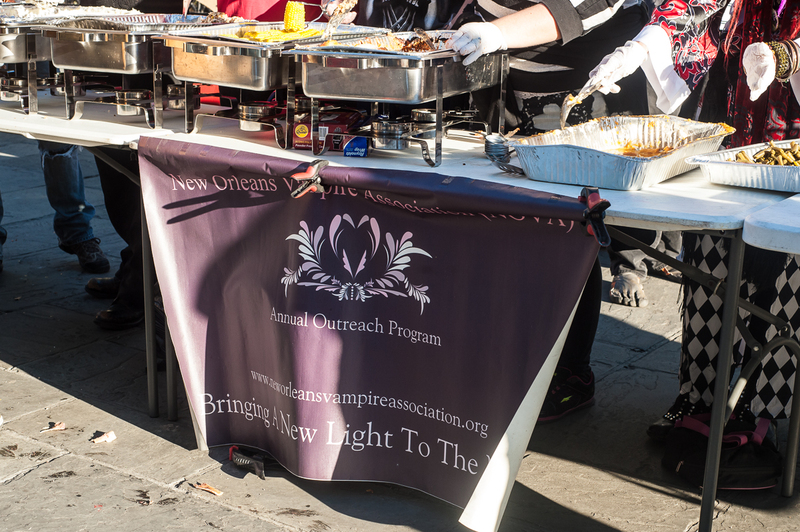 Right in front of the St. Louis Cathedral, a row of tables had been set up, bedecked with big silver chafers loaded with food. 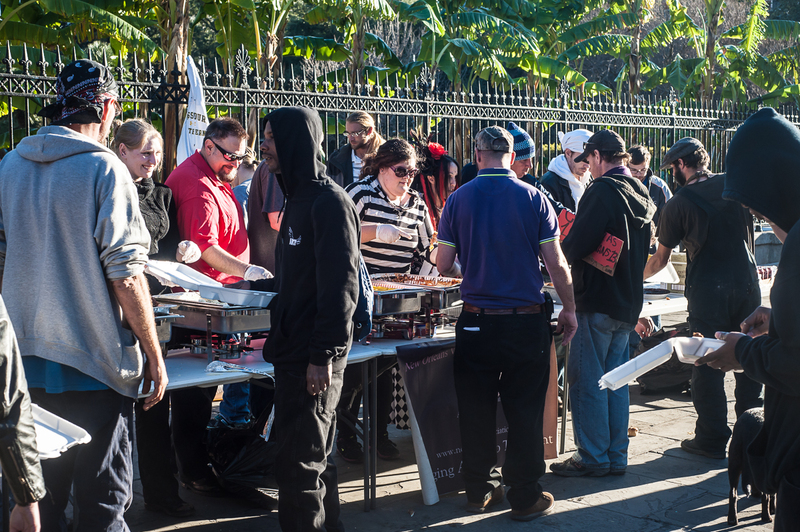 Volunteers were ready with ladles and smiles, and a long line of people were filing along, filling their plates with food. 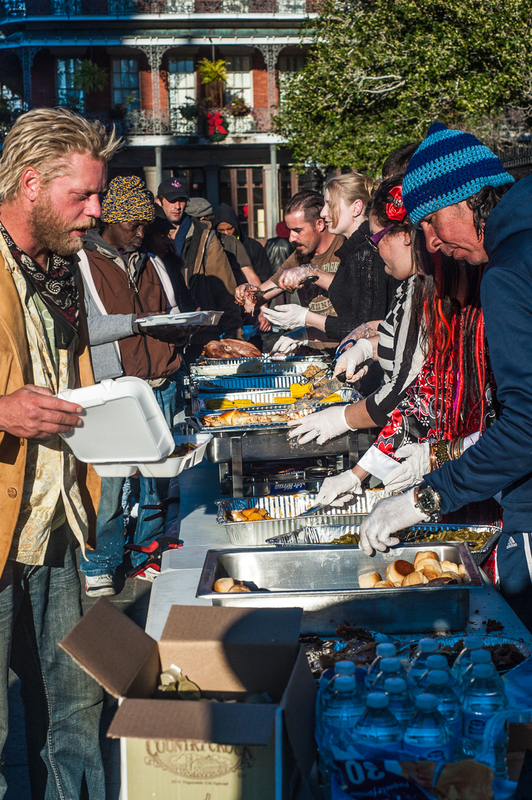 Most of the people eating were homeless or disadvantaged in one way or another. All of the people serving may or may not be vampires. But they do belong to the New Orleans Vampire Association. 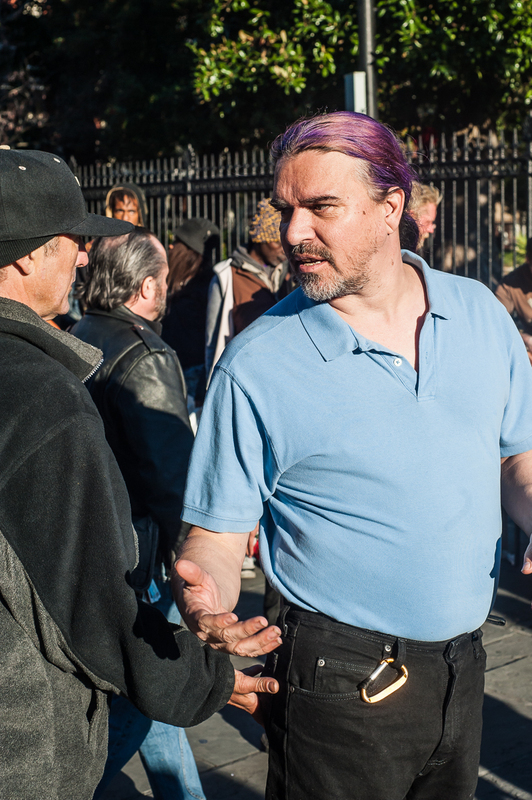 The organization, called NOVA for short, is a state recognized, non-profit organization, and they have been here feeding the homeless and hungry every Christmas, Thanksgiving and Easter, since 2005. Belfazaar Ashantison, who started the tradition right after Katrina, gave me a brief history of how it came about. As for how they define the meaning of being a vampire? 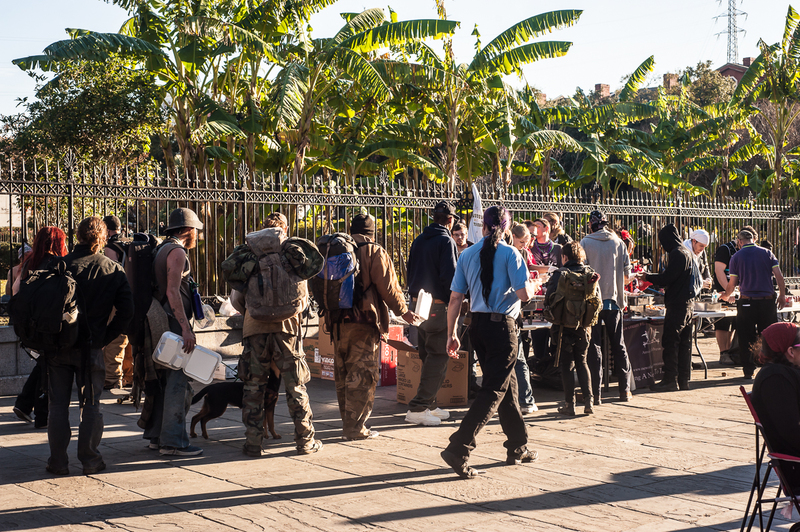 And this, my friends, is how I found Christmas in Jackson Square. Don’t you just gotta love this town?